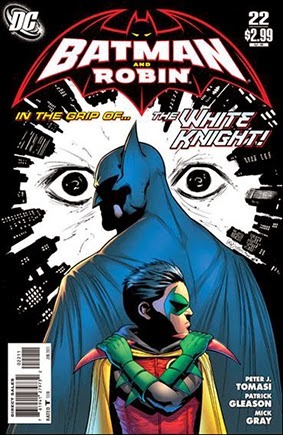 • PLOT SUMMARY: As The White Knight makes his final, bright stand against the darkness and corruption of Gotham City, Batman and Robin find themselves trapped in a war of good and evil . . . but no matter who wins, the Dark Knight's city will surely suffer! (W) PETER J. TOMASI. (A) PATRICK GLEASON & MICK GRAY. (CA) PATRICK GLEASON.